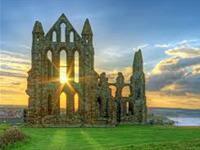 Perched high on a cliff, it's easy to see why the haunting remains of Whitby Abbey were inspiration for Bram Stoker's gothic tale of 'Dracula'. 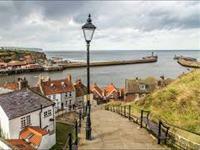 Sink your teeth into years of history, amazing views and a packed events programme, just a short climb away from the town of Whitby. In 1632 West Pier was rebuilt using sandstone blocks. Repairs, rebuilding and lengthening continued throughout the 1600’s, 1700’s and 1800’s. An extension was added to the pier between 1908 and 1914 and an interceptor wall was added to the bullnose of the main arm to reduce the swell entering the harbour. 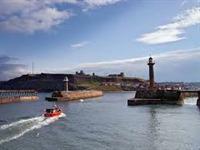 First opened in 1836 as the Whitby & Pickering Railway, the railway was planned in 1831 by George Stephenson as a means of opening up trade routes inland from the then important seaport of Whitby. 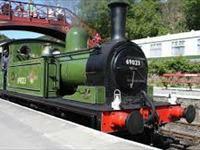 The line closed in 1965 and was reopened in 1973 by the North York Moors Historical Railway Trust Ltd. The station at Goathland has been used as Hogsmeade Station in the Harry Potter films, the New 2016 Dad's Army Film and Aidensfield in the popular Heartbeat TV series, Pickering Station was used in the film. 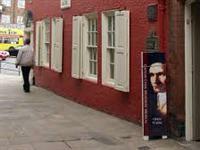 Whitby Museum is a private museum in Whitby , run by Whitby Literary and Philosophical; Society, a learned society and registered charity, established in 1823. 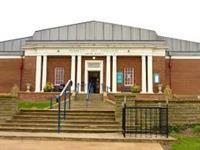 It is located in a building opened in 1931 in Pannett Park, Whitby, which also contains the Society's Library and Archive.